While we’re headquartered in Barcelona, our website wouldn’t be the same without its 30 co-workers around the world who help to cover the markets 24/5 in different languages. Today we want to introduce you one of our international members. Felipe Erazo is a global journalist from Colombia but nowadays he lives in Chile. Erazo loves financial markets, wrestling and traveling. 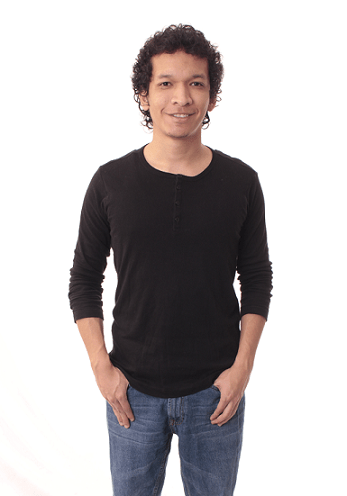 Meet Felipe, a great member of our international 60-people staff. How does a day in the life of a member of FXStreet U.S team look? After drinking my daily dose of caffeine, I check my email 30 minutes before I start my workday because I like to be up to date in recent events just before I’m in charge of the US Session at FXStreet. When I’m working, I check that all the site content is updated and that there isn’t any technical mistake to guarantee a pleasurable experience to our users. Usually, the American Session is calm, except when Janet Yellen speaks or when unexpected macroeconomic events take place, but the best of all is that I have always by my side a great team of News Editors aware of any event, which makes my daily routine a unique experience. If you were not U.S Content Manager of FXStreet, what would you like to do for a living? What I like the most is the fact that I’m never alone when I have to face new responsibilities or objectives that the company puts on my hands because if there is something that I’ve always admired of FXStreet is that they are always willing to be by my side in what I need, so I can deliver good results and progress in my work and, of course, to grow with them. One of the things that I appreciate is that I can meet my workmates online, they are people with different nationalities and cultures which it allows me to have a broader vision of the world that surrounds me. It’s a hard question because I can’t really find bad things. Nevertheless, what I can stand out is that I stress myself when my internet connection crashes 🙁 You know, I’m working from home so that’s the worst nightmare that can happen during my session. Fortunately, cell phones can be used as “backup modems”. Well, I don’t work the 100% of the time at home because when it’s needed I must work half-time from my university (Universidad de Chile) where I’m studying journalism. Nonetheless, I like working at home because I’ve been doing it for many years and it allows you to be closer to your family when they need you. Working at home has advantages and disadvantages, and one of those is that you don’t have any coworker in your same “physical” space to interact with 🙁 Also, you need a lot of discipline because you are practically your own boss at home, you must have in mind that you have to respect your schedule and your assignments. Plus: it’s no secret that there will always be distractions, but I’m not going to lie… I like working at home! It depends on the situation. If it’s a slow day on financial markets, I put some music. Also, when there are two hours left to finish my workday I put a radio show about politic humor mixed with news information very famous in Colombia called La Luciérnaga. On the other side, when there is a lot of movement in markets, or basically when Yellen speaks, I prefer to cut down all the noise to be concentrated. The artists that I usually listen to are Carlos Vives, Estopa, Marc Anthony, Florida, Jorge Celedón and Grupo Niche. When I’m disheartened or dull, I love to hear “La Vida es un Carnaval” by Celia Cruz… ¡Azúcar! I like to touch my hair a lot and, for some reason, I move a lot my right feet when there is not much movement at work haha. You are from Colombia but you live in Chile. How and why a Colombian young guy lands in this location? I’ve been living in Chile 4 years and a half by now because of my studies of journalism at the University of Chile thanks to an agreement between the Chilean and Colombian government. Luckily, my brother and my sister-in-law were here before I arrived so I didn’t feel like a foreigner. However, my stay has been very pleasant because I’m surrounded by very nice people at the University, which have made this time an unforgettable experience. The first thing I do is having a delicious dinner cooked by my mother because she lives with me in Santiago. Food must be inside my stomach at least every 3 hours despite my thin physique haha. Then I spend some time with my family watching TV or talking. After that, I read a book, I do some homework from University or I watch TV shows on Netflix. When the chance comes up, I call my family and friends from Colombia to catch up. What are your holiday plans for 2016? I don’t have a favorite website but I use a lot Netflix to watch series and movies and VICE.com to read very interesting journalistic pieces. Also, I enjoy reading different news websites from Colombia, such as El Espectador and La Silla Vacia. Furthermore, I daily check the official websites from my two favorite soccer teams, FC Barcelona & Millonarios FC, and Wrestling INC to keep updated from the latest wrestling news. I’m a big fan of bird pets. In Sevilla, my hometown in Colombia, I had a couple of A mazon parrots. They were with me a little bit more than 15 years. Unfortunately, one of them died because she was very old. The other one is in a house on the outskirts of my hometown. By accident, an Argentinian parrot came to my life. 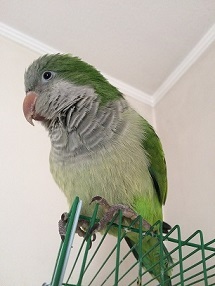 Her name is Coti and she is my ‘Chilean’ pet since 2 years ago. She’s very noisy and she doesn’t like women but Coti loves me a lot haha. When I’m not rushed, she likes to have breakfast with me while she steals my food. Lately, I became a movie fan, something that I wasn’t. The last one that I watched was a Bollywood and Hollywood production called “My Name is Khan”. I’m not going to explain the plot because it would be a spoiler but I have to say that I loved it and I totally recommend it because it’s about the islamophobia that erupted in the US after the 11-S.